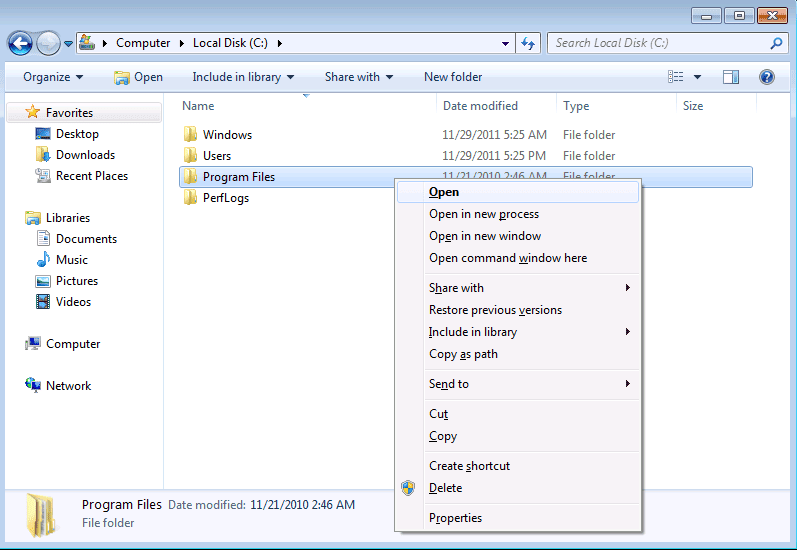 As you see above, by default, there is an option called “Open command window here”. 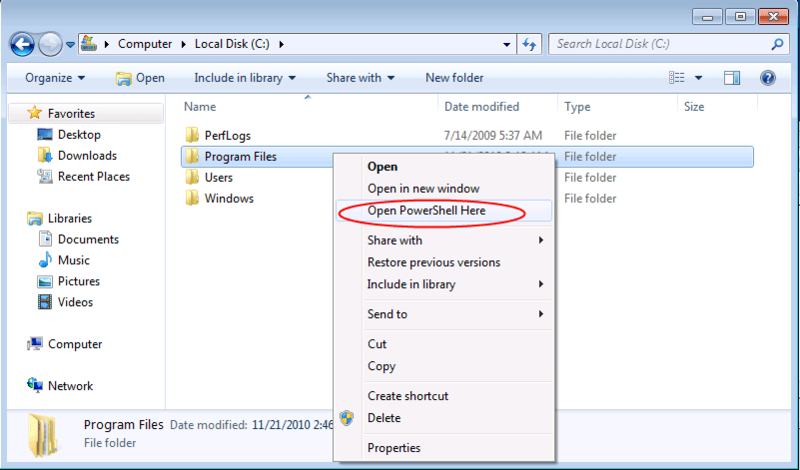 Wouldn’t it be nice to have also “Open PowerShell here” also? Now we are going to do it! Press Start button + R to open run command dialog box. 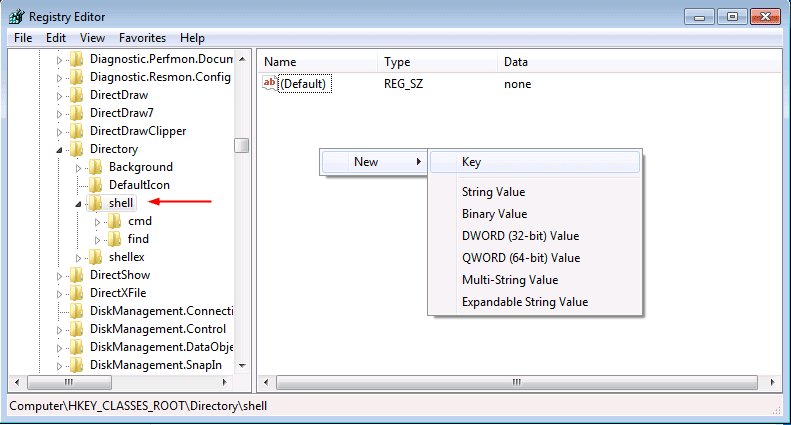 Type regedit and press Enter to open the Registry Editor. 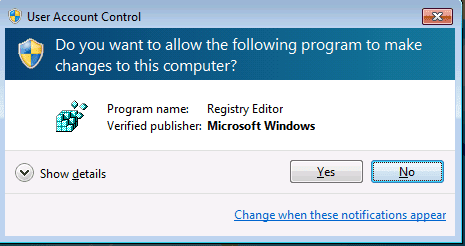 You may be prompted with a UAC prompt, click “Yes”. Right click on the right pane and select New > Key. 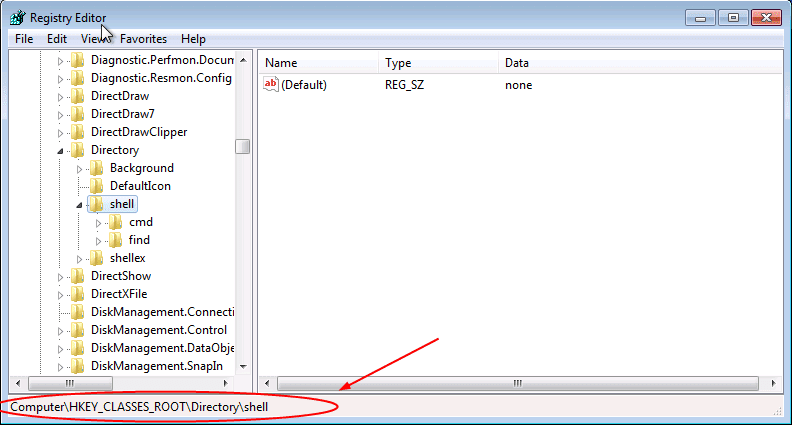 On the right pane, double click on Default and set the value to Open PowerShell Here. Click OK.
On the left pane mark powershell and right click on the right pane and select New > Key. Hope it makes you life easier.